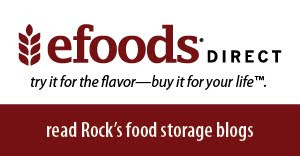 "At the recent FAIR conference in Utah, some interesting data were shared. Guess what? People don’t like us. No, let me rephrase that: people really don’t like us. According to the polling firm which gathered the data, LDS people have an unfavorable to favorable rating of 5 – 1. For every person who thinks well of us there are five who do not. To compare, notice that Jewish people have a favorable rating of 7 – 2 (seven likes for every two dislikes) and Catholics have a favorable rating of 2 – 1. Where are we going and how did we get in this handbasket?" Mark's entire article is well worth reading, as is the report of the FAIR conference in the Deseret News. Certainly, some of the animosity against Mormons derives from plain old ignorance. 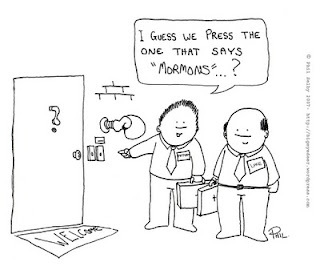 According to the poll, 55 percent of Americans have never met or come in contact with a Mormon. In this group I suppose are those who still associate us with polygamy, or mistake us for the Amish. But that leaves nearly half the population who actually have met Mormons; those who work with us, go to school with us, and live next door to us. The fact that sometimes these people wish we would just shut up and go away is an uncomfortable revelation. Gary Lawrence, who presented this data at the annual conference of the Foundation for Apologetic Information and Research reported, "We tend to think people are not beating a path to our door, but they respect what we Mormons are trying to do. Baloney. They don't." Several years ago I had one of those rare opportunities of being a fly on the wall. I got the chance to find out what people really think of Mormons when they think no Mormons are listening. I was in Phoenix, Arizona attending a sales training seminar. Those of us in attendance, all strangers to one another, had been flown in from various western states as representatives of the companies we worked for. That evening after the day-long meeting was over, a group of us elected to leave the hotel for dinner at a nearby restaurant. During dinner, one of the participants asked if the rest of us had noticed anything odd about one of the young women who had been conducting the meeting. She seemed overly bubbly to the point of near insincerity. He described her as "kind of a plastic Barbie type." Someone volunteered, “I think she’s a Mormon,” and almost everyone at the table responded as if to say, “well, that explains it.” Soon everyone had their own stories of encounters with Mormons, or stories of dealing with Mormon co-workers who were pushy, phony, or overbearing. I was actually quite surprised at what I was hearing, as I thought we Latter-Day Saints were generally well thought of by the public at large. As the conversation got cattier, one guy caught himself and said, “I hope nobody here is a Mormon, right?” and there was laughter all around at the embarrassment that would have resulted if it turned out one of us was. In fact, I didn’t do or say anything. And it wasn’t because I was timid. The truth is, I was absolutely fascinated with the conversation going on around me, and I wanted to hear more. I was frankly surprised that none of the stories being told around the table contained a hint of animosity toward Mormonism as a religion, nor did anyone seem to have any real doctrinal disagreements with their Mormon acquaintances regarding their religion. It all came down to the fact that Mormons could be pretty irritating the way they were always trying to convert everybody else, and how completely clueless they were as to how they came off to other people. Ever since that dinner in Phoenix, I’ve kind of had my ear to the ground about why people don’t particularly get excited when they see us approaching. I’d be happy to share with you what I’ve learned. When Connie and I were young marrieds expecting our first child, we moved into a new ward in Orem where we were instantly befriended by a personable and energetic young couple also expecting their first child, and close to our own ages. We seemed to have lots in common. For a couple of weeks we and the Kims were practically inseparable. We went out together, spent time at each other’s apartments, and swapped life stories. Both Boy Kim and Girl Kim were heavily involved in Amway, and were constantly encouraging us to become Amway distributors like them. “You’d be perfect at it, because you’re both so gregarious and likeable,” Boy Kim flattered us. Well, like virtually every other person in the continental United States, I had already put in my time as an Amway distributor. And in keeping with the majority, I had failed miserably at building a viable downline that would guarantee me a perpetual income for life. But I knew other people had been successful (I had the tapes! ), and I wished the best for Kim and Kim. I told them I hoped they would do better at it than I had. To show our support for the Kims, we even purchased quite a bit of Amway product from them. But that wasn’t what they wanted from us. They wanted us to go to their Amway meetings with them and they wanted us in their downline. And they weren’t taking no for an answer. We finally gave in and went to one of the meetings, but afterward I had to be blunt with Kim and Kim and tell them that we really liked doing stuff with them, but we simply weren’t interested in joining their downline. Their reaction was even more blunt, but it didn’t come until days later. After Connie made several attempts to get together with Girl Kim, Girl Kim came right out and made it clear what the deal was. Connie later told me what Kim had said to her. Having once been an Amway distributor myself, I recognized the kiss-off; It was right out of the script. So all along Kim and Kim had just been trying to recruit us. The whole friendship had been a sham. I think you see the analogy here. Throughout the 1970's and 80's the church promoted the slogan “Every Member a Missionary.” The idea was, if you knew someone (better yet, an entire family) who you felt would “make a good member,” you would befriend them and fellowship them and in due time introduce them to the missionaries. After taking the missionary discussions, your new investigators would agree to be baptized, and Voila! You would have new Mormon friends, the church would experience phenomenal growth, and there would be that many more souls headed for the celestial kingdom. And all thanks to you. But there was sometimes an unforeseen glitch in that scheme. What happens if, despite all your efforts, this guy or gal you picked to buddy up to just plain wasn’t interested in joining your church? What then? You couldn't stay friends with them forever because, let's face it, you don’t share the same standards and values. They aren't going to be good enough. So eventually you sort of just dropped them as your friend and found some new candidate to build the kingdom with. And this abandoned investigator, your former BFF, ended up feeling used. What’s worse, it didn’t take him long to figure out exactly what you had been up to. Eventually this guy ends up in Phoenix, Arizona, telling his story to a group of others who at one time or another had the exact same thing happen to them. One way or another they all found out it wasn’t friendship. It was Amway. Now, I don’t have to tell you that Mormons are exceptional people. You are a Mormon. You know how wonderful you are. You are humble and lovable. So am I. This is what so annoys our non-member neighbors. What we think of as humility, they see as arrogance. Another thing they don't like about us: we don't listen. Why should we, when we have all the truth? Other people should be listening to us, right? Who cares about what the other guy believes since the other guy's beliefs are wrong anyway? You want to know what else they're saying about us behind our backs? They wonder why we dress our missionaries up in such a readily identifiable way that anyone can see them coming from a mile away. Not even Jehovah's Witnesses are that stupid. When the Jay-Dubs come to your door, you don't know it's them until you've already opened it. 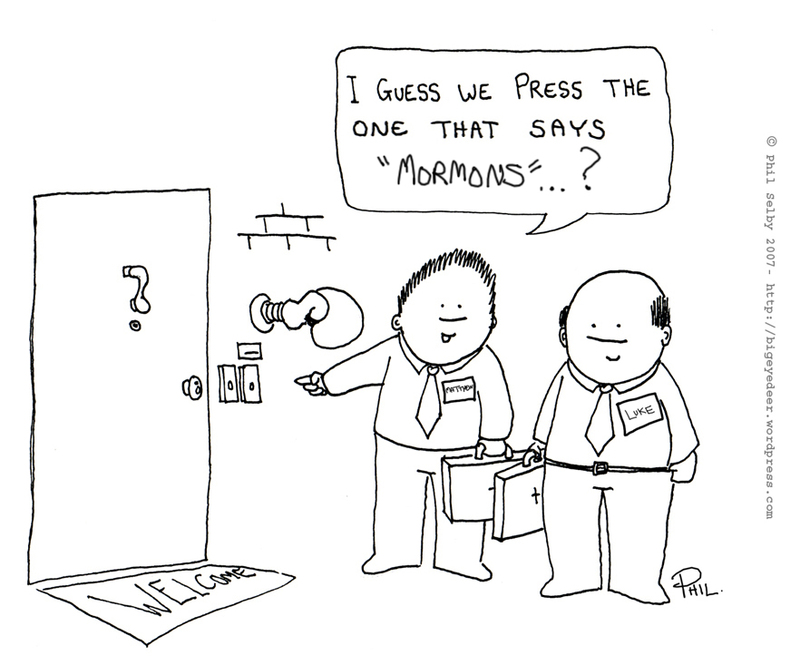 Mormon missionaries, on the other hand, can be recognized through the peephole. I’ve long felt our street image was long past due for a makeover. If you knew someone who had an aversion to clowns, would you dress up as a clown and come over? Hard as this may be for some of you to accept, the public at large has an aversion to religious predicants, no matter how well the pants match the suit coat. Add a nametag, a backpack, and a King Dorko brand bike helmet, and our poor guys start out each day with a clear disadvantage. It is a matter of great curiosity among the gentiles why we would want our key emissaries to telegraph their arrival by wearing such easily recognized costumes. Don't we realize that we would be more successful if we sneaked up on our targets dressed like normal people? Non-members don't understand, of course, that under normal circumstances our young men wouldn't choose to dress like this on a dare. The missionary uniform is dictated by Church headquarters in Salt Lake, right down to the name tag which, like the tag on your mattress, is not allowed to be removed under penalty of law. I understand what the brains back at church headquarters are trying to accomplish with this uniformity of dress. They want our representatives to convey a smart, distinctive image, one that is recognizable no matter where they are in the world. But this is corporate thinking, evidence of a corporate mentality. It’s one thing to require all McDonald’s hamburgers to be the same no matter where in the world you buy one. People still like McDonald's hamburgers. But people don't particularly like Mormon missionaries. If this mode of dress was so effective, why aren't people knocking on the missionaries' doors, breathlessly asking to hear their message? Why are we sending our boys out dressed like smart young insurance salesmen when even insurance salesmen know that look hasn't worked since 1959? Yes, brothers and sisters, we've been punked. As if being ironic on stage wasn't enough for these guys, they also delighted in performing on the street. In this video you'll notice that the people passing by are avoiding contact with "The Mormons". That's because they think they're real. When punk rockers dress like Mormons and call themselves Mormons, and when frat boys think dressing up like Mormon missionaries for Halloween is the ultimate in jokey hilarity, then it may be time to reassess the effectiveness of the image we're conveying. Let me make it clear that I'm not ragging on the use of a bike helmet. I wear one myself when I'm on my bike. But while I'm on my bike I'm not dressed to the nines like Will Smith and Tommy Lee Jones, either. The contrast between business formal and skate-kid sporty is incongruous. Can't we allow our young representatives some sartorial leeway that doesn't leave them open to ridicule as they ride to their appointments? Besides, this dark-suited formality our missionaries present makes them seem aloof and unapproachable to many people. Perhaps tan slacks and a dress shirt would work better. Maybe a nice blazer. But lose the tie, except in situations where a tie is appropriate. The dark, formal suit and tie on a young person says to other young people “I have nothing in common with you." It's time we allowed our boys some discretion over where and when they wear their nametags, too. And let them drop the "Elder" from their introductions, so they can be known by their first names when the occasion calls for it. Many people have difficulty understanding why we make a kid just out of his teens introduce himself as their elder. When most people think of an Elder, they think of someone who resembles Dumbledore. Placing a nametag with the title of "Elder" on a kid who looks like Archie Andrews doesn't convey maturity, it just seems fusty and pretentious. And that goes for the sister missionaries, who deserve better than to have to introduce themselves to everyone they meet as though they are catholic nuns. We like to say our young men are “serving” a mission, but non-members have a hard time believing that what our boys are doing is any kind of "service" as that term is usually understood. Missionaries of other faiths are known for going into poverty-stricken countries digging wells and building clinics. 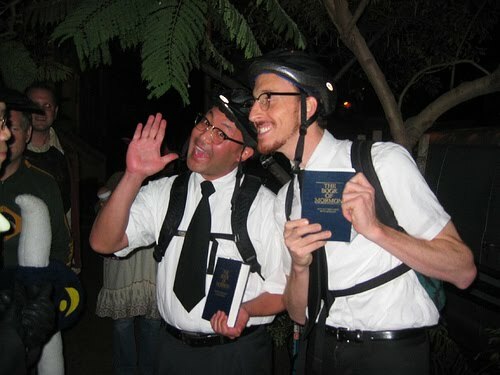 To Americans, Mormon missionaries are young men who spend their days knocking on doors looking for people to join their church. Besides, the way they dress, our missionaries are in no position to perform any service anyway, if by “service” you mean actually lending someone a helping hand. A nineteen year-old wearing an expensive suit isn’t going to risk ruining it by helping someone dig a post-hole in their backyard. And who would think to ask him to? It's true that our missionaries want to be helpful. Almost every time the Elders visit my home, they ask me if there is anything they can do while they're here. Sure, I could use an occasional hand around the place, but what can I say? They simply aren't dressed for anything other than to offer a closing prayer. When I was a missionary it was impressed upon us that our time belonged to the Lord, and therefore it was not to be wasted. All of our time was to be spent in finding, teaching, and baptizing. But is this really what the Lord would have us spending all his time on? Isn’t service to others the greater calling? Of course, we thought that by finding, teaching, and baptizing, what we were doing was service to the Lord. It might have been more accurate to say that we were serving the Church, as everything that institution demanded of us was calculated to ensure the growth and expansion of the church by adding to its numbers. When our new friend Cully Cowgill asked if my companion and I could help him prep and paint his shed, we had to put him off until P-day so as not to run afoul of the rules. And then we had to quit by six o’clock so as to get cleaned up and back to knocking on doors. Cully was one of those people who would have made a good member, but he never did join the church. We just didn’t have enough time for him. It's interesting to note that whatever it was we've been doing to gain converts just isn't working like it used to. Reports show that growth has been slowing since 1989. In addition, our retention rate is abysmal. Converts are now leaving the church in record numbers. Wouldn’t it be something if, when people saw our missionaries on the street, they recognized them as nice young people who had devoted two years to helping others, rather than just trying to recruit new members? First we'll have to get them out of that corporate uniform. Why Not Try Pure Mormonism? If we want people to like us, instead of trying to convert everybody to our religion, why don't we simply go back to actually living our religion the way Joseph Smith taught us to. In my essay What Do I Mean By " Pure" Mormonism? I pointed out that our founder defined Mormonism in it's purest state as simply friendship -unconditional friendship extended to all men and women, no matter their beliefs or station. Our religion is a religion of unconditional love, without judgment, for all mankind. At least it's supposed to be. I think we've kind of gotten away from that. I'm inclined to think that we got so excited at how fast the church was growing over the past few decades that we began to think church growth was the goal. Growth should not be the focus of the Church of Christ. That's corporate thinking. Growth is the goal of a corporation that delights in boasting of how each year, the percentage of expansion has increased over the previous year. Our goal as individual members of The Body of Christ is simply to treat other people as Jesus would. If we just do that, growth will take care of itself. I fear our image of late has become one of intolerance for those who don't rise to our standards. We won't even baptize a person unless he has been interviewed and found worthy. There was a time when the only requirement for baptism was a desire to be baptized. Now we have introduced all kinds of conditions that must be met before we'll let a newcomer join our little club. Heaven help us if we don't screen them well enough that we let someone through who is later seen drinking a cup of coffee. What would such a scandal do to the image of the Church? I'd like to see us focus less on converting others to our lifestyle, and simply live so that our lifestyle becomes more attractive to others. There is only one character trait you can demonstrate that other people will find irresistible, and that trait is kindness. "In the end," as the song goes, "Only kindness matters." Kindness is one thing you can't fake. If you try to fake kindness, it's not kindness. It's fellowshipping. (For a follow-up to the above piece, please see "Living The Gospel, or Living In Zombieland?"